Our Victoria's OAK BAY Real Estate market is going full steam ahead as we head into November 2015. Here is a real estate market snapshot for Oak Bay this Oct 28/15. If you are looking to find your next home in Victoria in the popular Oak Bay neighborhood you have come to the right place. Oak Bay Real Estate listings of homes For Sale in each of the following Oak Bay Neighborhoods. Currently there are 43 Pending homes Sold throughout Oak Bay with a current average Selling Price of $1,126,188 ranging from a Pending Sale of $488,000 on Foul Bay Rd to a high of $5,388,888 on Tarn Place in the Uplands. Oak Bay is a Municipality located on the South East Side of the City of Victoria. Victoria is the Capital City of British Columbia located on the Southern tip of Vancouver Island off the West coast of Canada next to the Pacific Ocean. Oak Bay itself is made of several neighborhoods and reference is made to these areas of Oak Bay when locals are looking for homes to purchase or sell. The Oak Bay neighborhoods are referred to are as follows. The Oak Bay Population in the 2006 Census shows there are 17,908 people residing throughout the .The Municipality. Oak Bay has a heritage of British culture. Residents are known as living behind the "Tweed Curtain" (the municipality border along Foul Bay road). The Oak Bay Municipality was incorporated in 1906. Before incorpoation from the mid 1800 many fur traders, farmers and the Songhee's First Nation people made up the local landscape living near the Hudson Bay Company's Fort Victoria . Prior to these times the Spanish and English explored the waters around Vancouver Island and Oak Bay in search of the North West passage and trade with the local natives. Check out the Oak Bay Heritage web site and the History of Oak Bay website for more information about the making of Oak Bay. This Small Muncipality of Oak Bay also has two 19 hole world class Golf course's where the game of Golf is played 365 days of the year. 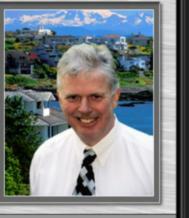 For more Information about the Municipality of Oak Bay and Oak Bay Real Estate check out my web page for Oak Bay.